The Southern New Hampshire Saints (“SNHS”) – an advanced boys and girls’ basketball program since 2009 based out of Derry, NH – is an independent organization that provides the highest level of competition for boys and girls at the Elementary, Middle School and High School level in the southern and central New Hampshire region. Nine year relationship with the SportsZone, an indoor sports complex in Derry, NH. Coaches and staff are all local to the Greater Southern New Hampshire area. Personalized training sessions for players seriously interested in improving their skills. Skills and drills programs are offered throughout the year. Three hours of practice at the SportsZone per week. Coaching Director, Dave Constant, was a member of the nationally ranked team in high school, Trinity High School 2003/2004. He also played for the Granite State Raiders (the only AAU team in the New Hampshire at the time, which helped launch Matt Bonner and several other Division I, II, and III players). Dave went on to play college basketball at NHTI. He coached the Pembroke Academy High School as Junior Varsity Head Coach and was also the Varsity Assistant Coach from 2013-2014. The Pembroke Academy Varsity team went 25-0 and won the NHIAA Division 2 Boys State Championship. This program was founded to provide young, gifted players with the best basketball training and experience possible. Through its solid reputation, Southern New Hampshire Saints has built a large following of players seeking the best opportunity to refine their natural talents. We honor the High School programs and want to provide the greatest outreach for training possible. David’s basketball experience started at Trinity High School. He played for the 2003/2004 varsity team that was ranked nationally and won the Hooters Holiday Shootout in St. Petersburg Florida. He went to the semi-finals in 2003/2004 and quarter-finals in 2004/2005. 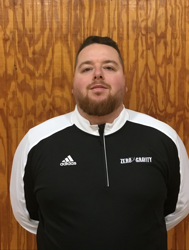 His varsity Head Coach was Frank Alosa, who also coached him on his Granite State Raiders AAU team (a team that spawned Matt Bonner and several other Division I, II, and III players). He coached the Pembroke Academy High School as Junior Varsity Head Coach and was also the Varsity Assistant Coach from 2013-2014. The Pembroke Academy Varsity team went 25-0 and won the NHIAA Division 2 Boys State Championship. He went on to play college basketball at NHTI and was coached there by Paul Hogan (prior head coach of Plymouth State). He has also instructed at several basketball camps around the state. He is a seasoned basketball player and will use gained knowledge and experience he picked up from his past great coaches to help make the Southern New Hampshire Saints players the best basketball players they can be. Adam Presutti is a New Hampshire native and has played basketball his entire life. He played for Pembroke Academy his senior year, the Granite State Raiders AAU program, Notre Dame Prep School, and New Hampshire Technical Institute. Last year he was able to work under Ryan Hurd at Notre Dame prep for a season. He learned a lot from him and was very grateful for the opportunity. He is now excited to help the Southern New Hampshire Saints program. Coaching has been his dream and is beyond excited to start this new chapter in his life. Laura earned a B.S. in Kinesiology (2007) and a M.Ed. in Secondary Education (2008) from University of New Hampshire. From her education, she transitioned into a teaching position as a Wellness teacher at Bedford High School. In her time there she was able to work with a fantastic professional learning community in constantly restructuring curriculum, advising several clubs (Key Club, National Honor Society and starting the Superfan Club), coach Junior varsity Girls lacrosse, and be a site supervisor at many athletic events. After six wonderful years at the school, she moved on to pursue a management role in the sports world by pursuing a second master’s degree while working at SNHU; MS in Sport Management with a certificate in Athletic Administration. While at SNHU, she was connected with the SNH Saints May of 2016 and has been with them ever since.